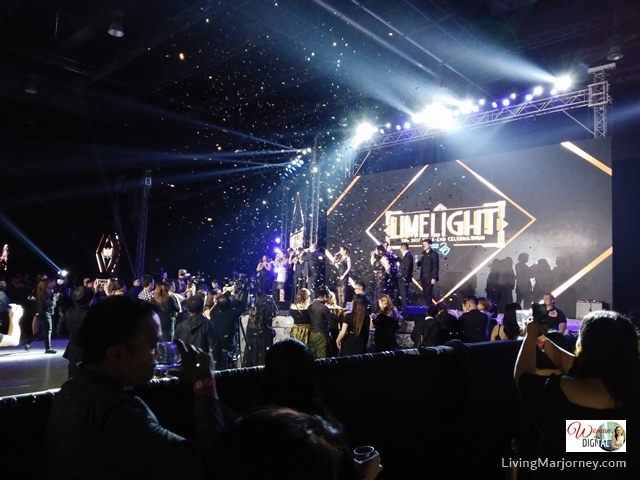 I was invited to one of the biggest year-ender party in Manila, Sykes Limelight Hollywood-inspired party. Too big that they celebrated it at the SMX Convention Center. Not only that the party is huge in terms of number of attendees and guests, the program, production and even prizes were all bigger and bolder. 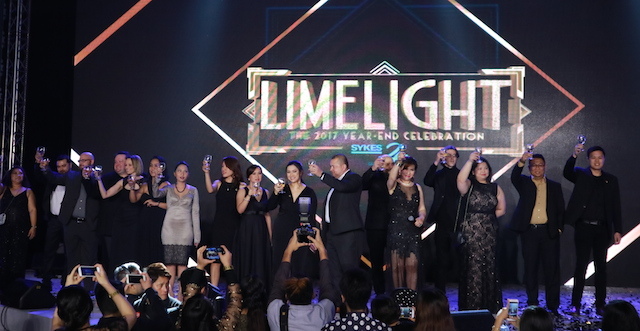 SYKES Philippines, the first multinational call center in the Philippines staged its biggest year-end celebration yet, giving away over P4 million worth of prizes, and featuring high profile entertainers including some of the country’s most iconic musicians. More than 6,000 employees attended the event. While the Cebu leg celebration was held at the Waterfront Hotel Cebu, wherein close to 3,000 employees partied at the venue. SYKES Year-Ender Party has been known for its star-studded annual party. SYKES managed to up the ante this time as it offered bigger and more exciting prices. It also featured celebrities, all out to entertain the company’s valued employees. “Our employees are the main reason for our continued success. This year-end celebration is dedicated to all of SYKESers, whom we consider to be the main stars of the company,” said Mike Henderson, Senior Vice President of Regional Operations, APAC. 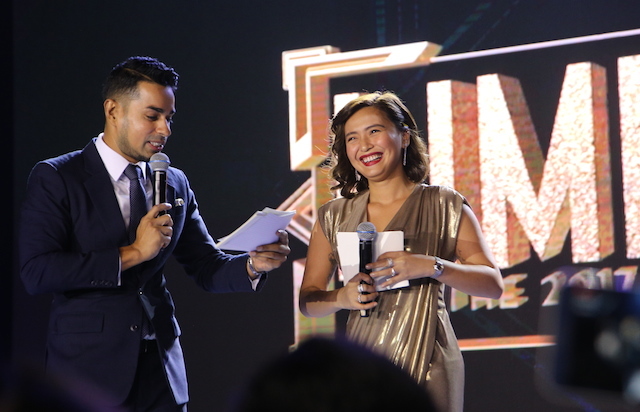 The event was hosted by energetic and in-demand DJs, Sam YG and Joyce Pring. 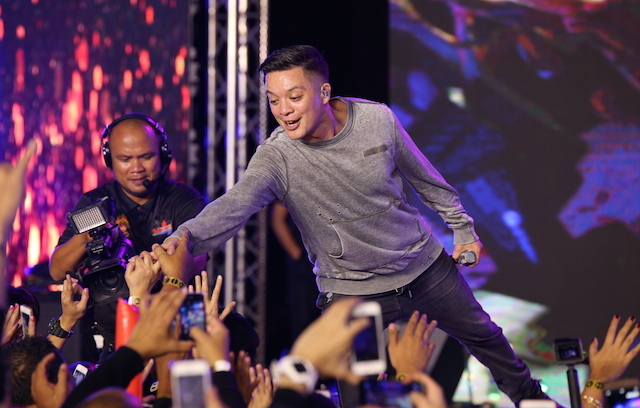 Performances from singer KZ Tandingan, DJ Tom Taus, Bamboo and Ely Buendia were the highlights of the evening's celebration. Actress Valeen Montenegro and the Manoeuvres Ignite brought more star power to the show with a riveting dance number. SYKES raffled off amazing prizes. I wished I'm part of Skyes and had the chance to win one of these prizes. Sykes raffled off 13-inch Apple Macbooks, Samsung Galaxy Note 8, LG Q6, LG LED TV 43” Full HD, and JBL Wireless Headphones. Seven lucky winners walked away with P50,000 while 8 lucky received P100,000. But the surprise and biggest prize of the night went to the lone winner of the P250,000 cash prize. SYKES honored employees who have been with them for the long haul through its SYKES Service Awards, celebrating the years of service its employees have rendered with them. “We want to recognize and honor the employees who had been with us all these years. They have seen the company’s growth over the past 20 years and they will always be part of the SYKES family,” Henderson added. SYKES employees also had the chance to shine as they performed in the Group Dance Competition. In the end, it was “Releve Equipage” and their Moulin Rouge-themed dance in Manila and “Blue Lion Movers” and their Lady Gaga and Usher rendition in Cebu took home the cash prize. Meanwhile, as part of its advocacy in promoting a well-balanced life to its employees, SYKES has awarded the employee organization called SYKES Outdoor Club as the SYKES Choices Club 2017 for Manila and SYKES Volleyball Club as the SYKES Involve Club of the Year for Cebu. Both of the awarded clubs were recognized for organizing programs and activities in promoting work-life balance. Congratulations to Sykes Philippines! Your team work continues to shine all these years.